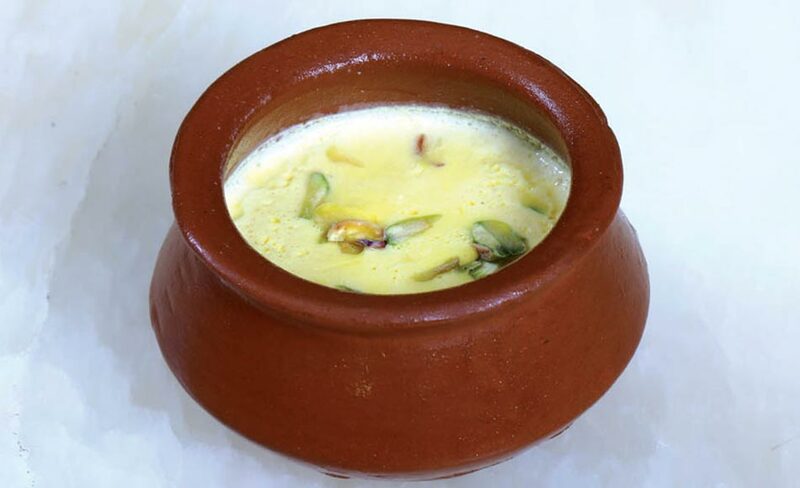 A light dessert of milk cooked with powdered basmati rice, flavoured with saffron and kewda water and served in an earthen pot. 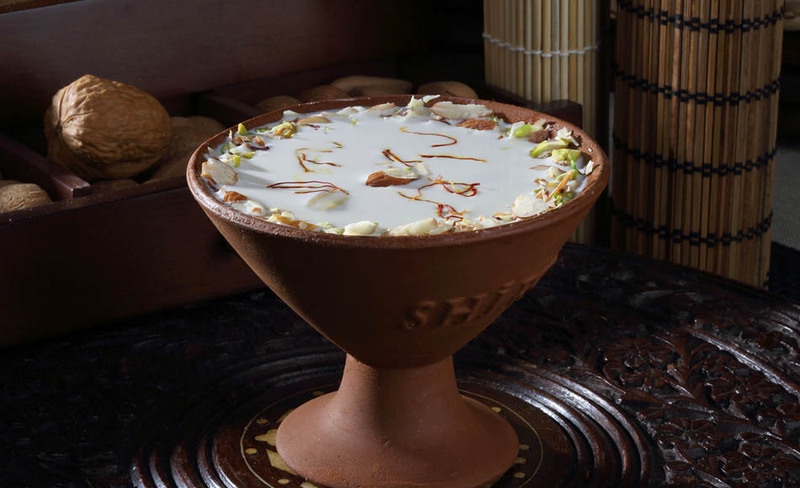 Fried bread triangles soaked with a syrup of milk cooked with sugar, cream and rose water topped with nuts. 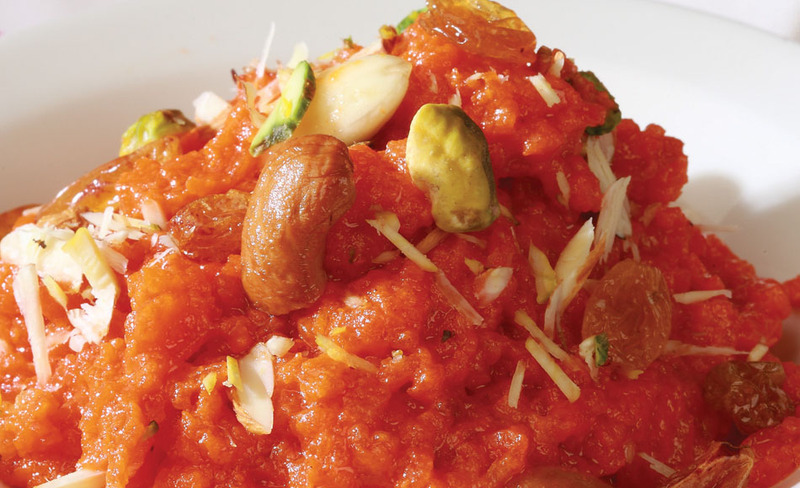 Grated carrots glazed in butter, cooked in sweetened milk & khoya, garnished with nuts. 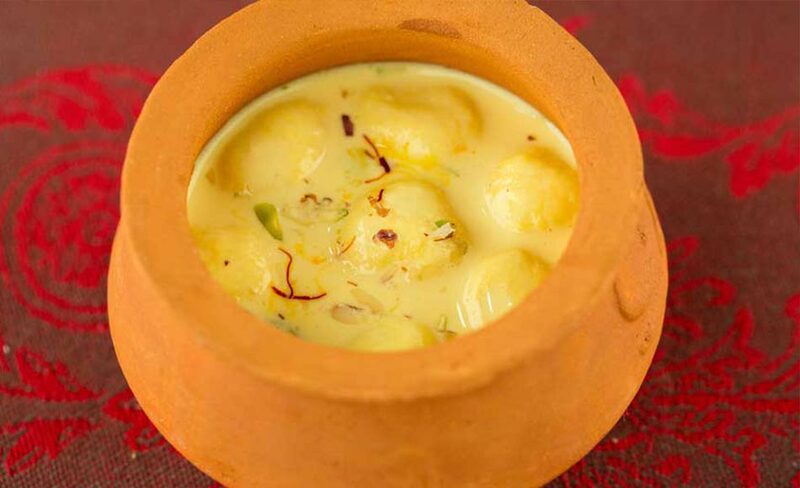 Cheese balls cooked in boiling sugar syrup soaked into thickened milk known as rabdi. 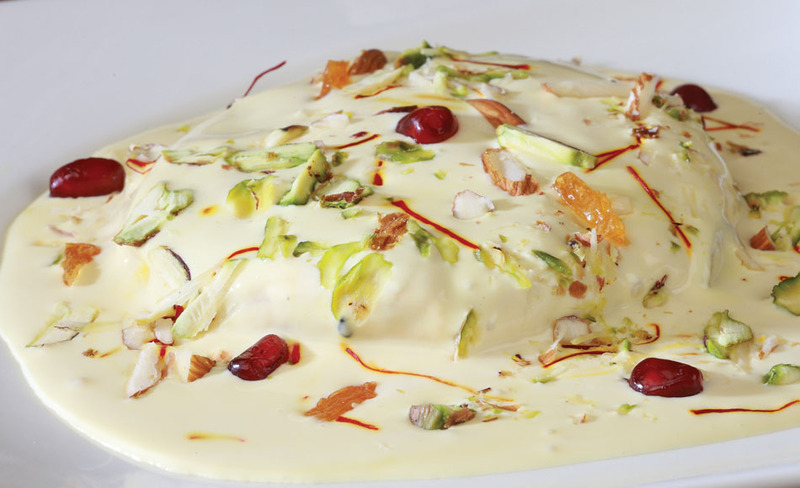 A delicious sweet dish prepared with cottage cheese, sweetened condensed milk and nuts. 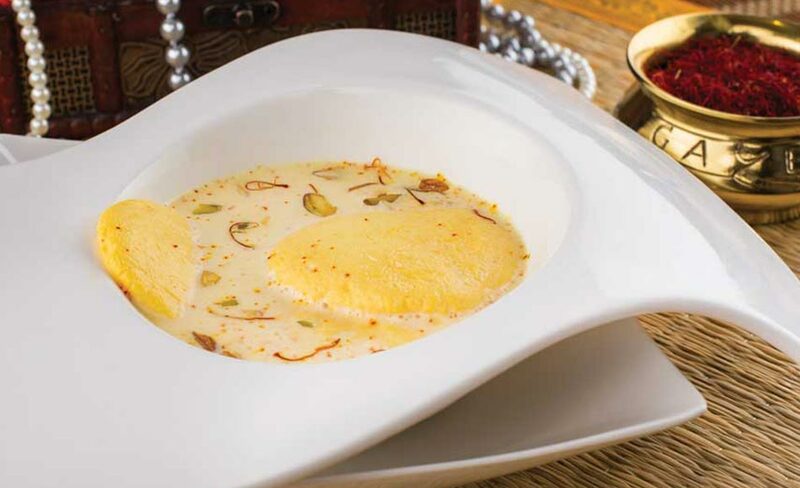 Miniature poached dumplings of cottage cheese made from milk dipped in saffron and cardamom flavoured milk garnished with nuts. 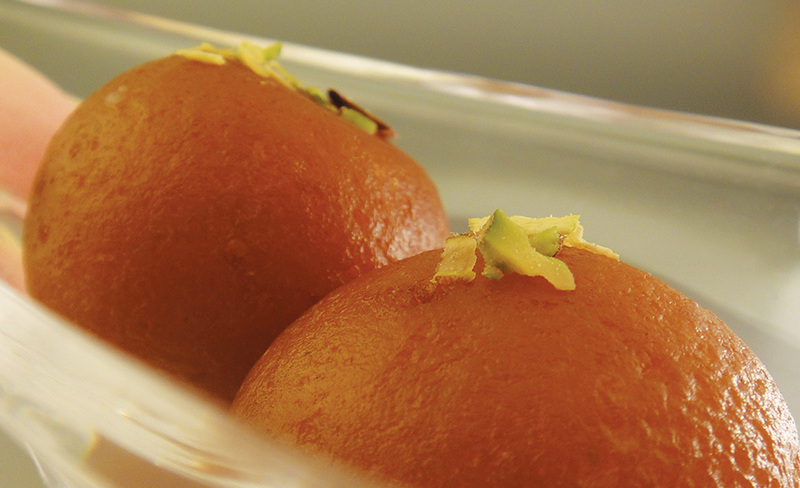 Deep fried milk dumplings dipped in sugar syrup garnished with pistachio and cardamom seeds. 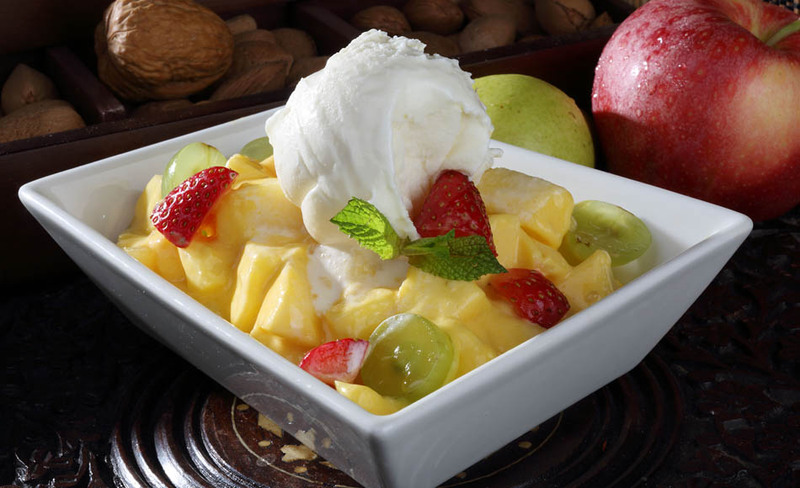 Seasonal fresh fruits cut into small pieces mixed with light cream sauce topped with ice cream. 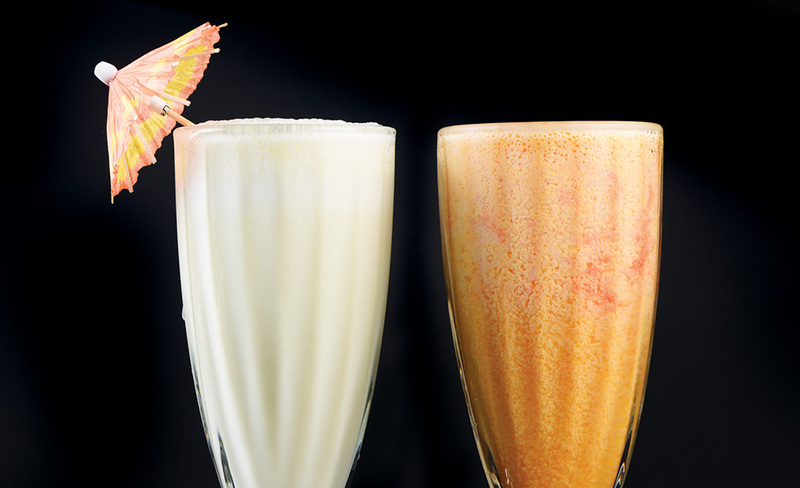 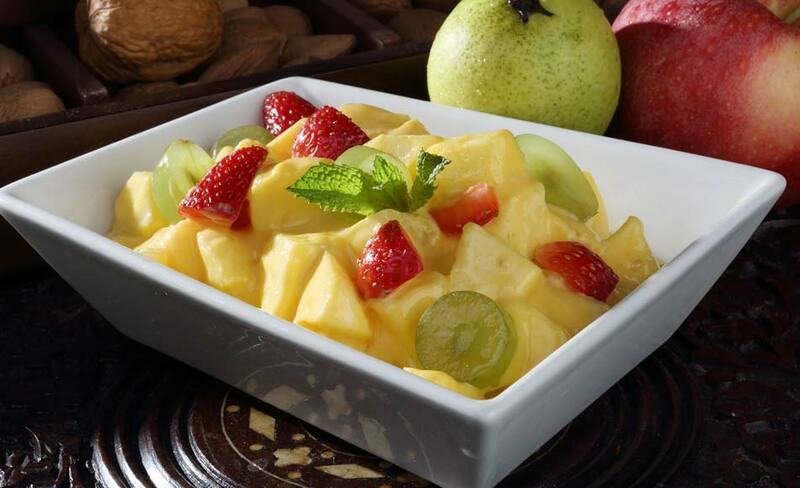 Seasonal fresh fruits cut into small pieces in a light cream sauce. 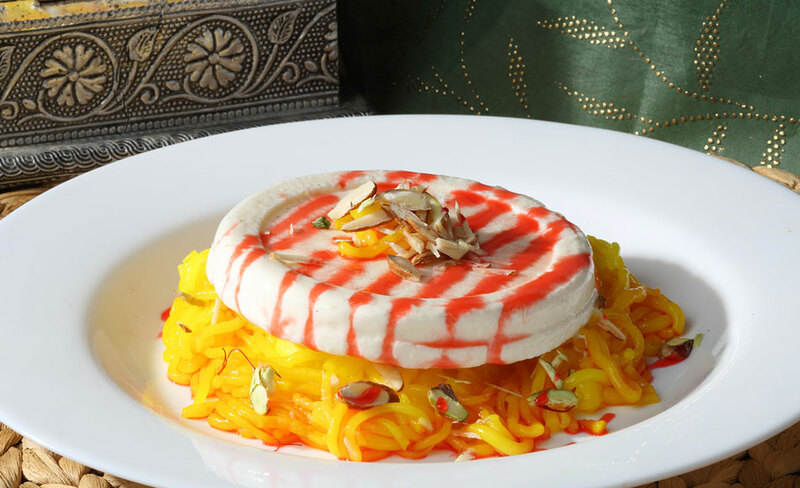 Creamy fresh home made ice cream served on a bed of noodles drizzled with rose syrup. 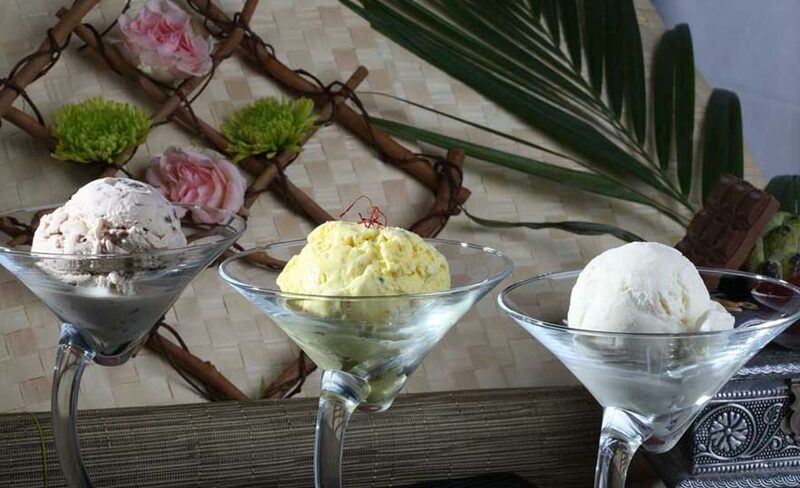 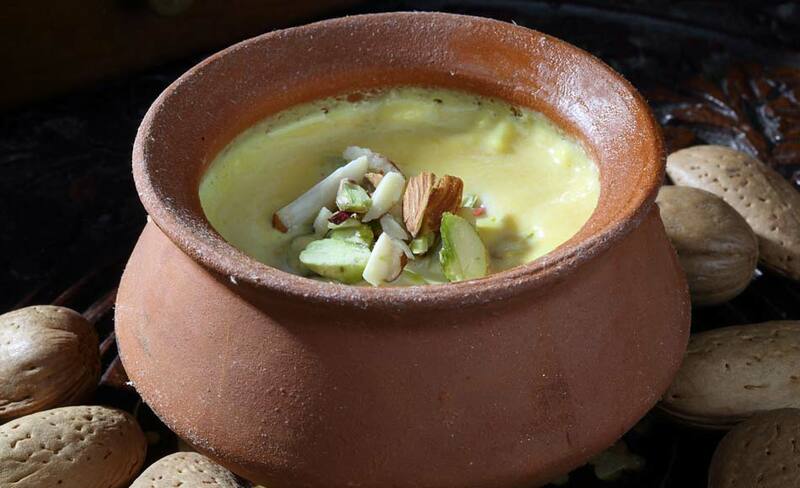 Traditionally made in earthen pot, milk based frozen dessert flavoured with dryfruits & saffron.